A Palestinian was shot dead by Israeli forces on Friday afternoon during clashes at Jabal al-Tawil east of el-Bireh near Ramallah, following a protest close to the nearby Jewish settlement of Psagot. Israel, however, has refused, at time countering with demands that Gaza be de-militarized. A Jordanian family is accusing Israel of arresting and torturing their son to death, after they detained him during a Tel Aviv protest in solidarity with the Palestinians in Gaza. The family in Ein Abous in Zarqa – Jordan told the al-Balad News Agency in Jordan that Wa’el Salim Mustafa, 39, was detained by the Israeli police, and has died due to extreme torture.. The family was informed of his death three days after the fact. Some Arabic reports indicate that he was kidnapped during a protest against the Israeli war on Gaza. But, according to the al-Wakaai news agency, the family said he was likely taken prisoner for staying and working in Israel without a permit,. The family said Wa'el was subject to extreme torture by Israeli interrogators, and died under interrogation on the same day of his arrest. His brother, Qotaiba, stated that the Israeli authorities contacted the family, asking them to come over and sign documents permitting Israeli doctors “to perform a needed surgery” but, once the family arrived in Tel Aviv, they were told he was dead, al-Kawn News said. 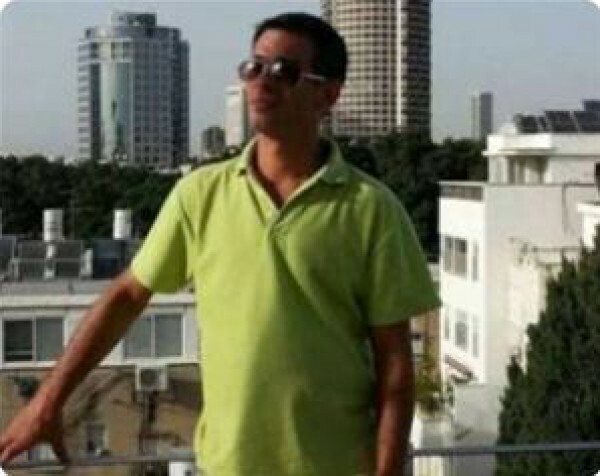 According to the report, Wa'el has been working in Tel Aviv for around 18 months, and was taken prisoners in an area where a protest was taking place. Qotaiba added that the body of his brother showed clear signs of extreme torture, including facial and eye swelling, several broken ribs, with various cuts and bruises all over his body. On April 5, the al-Balad News Agency said that Jordanian legislator Mohammad Thahrawi conducted enormous efforts which led to moving the body of Mustafa to Amman, where the legislator and hundreds of family members and citizens gathered across the border. The body of the Jordanian man was first taken to al-Bashir Hospital, in Amman. Jordanian Ministers and security also helped in the coordinated efforts which led to moving his body back to Jordan. Transcript of video: …. Reporter: What’s the name of the martyr? Reporter: martyr Wa’el Salim Mahmoud Mustafa, todays date is August 7 2014, This is the funeral of martyr Wa’el Salim… Mahmoud Mustafa”. Where is he from? Mustafa left Jordan around 18 months ago, traveling to Tel Aviv and Haifa, where we worked construction jobs. A Jordanian security source said that Jordan formed a committee to oversee the autopsy, which would be performed at a Jordanian Hospital, adding that initial examination shows clear bruises and fractures in the head, chest and several other body parts. It also revealed that a sharp blow to the head caused brain hemorrhage, eventually leading to death. An official report will be issued at a later stage. Israel alleges that Wa’el “fell during interrogation, and died later on”. Israel and Jordan signed a peace agreement in 1994. Despite the fact that all Israelis can travel to Jordan, most Jordanian males are not allowed to travel to Tel Aviv, and are admitted through the Arab side of the border terminal with Jordan and, thus, are “granted” access to the West Bank and not to historic Palestine, including Jerusalem. The Israeli Central Court of Jerusalem decided, on Wednesday, not to hold three young suspects accused of killing 16-year-old Muhammad Abu Khudeir this past month, according to the PNN. The boy was kidnapped near his East Jerusalem home, in early July, by a group of Israeli settlers who brutally tortured and later burned him alive. On July 27, the suspects were brought in for arraignment. In a statement, Shin Bet said that all suspects had confessed to the murder, apparently having decided to kill an Arab and equipping themselves with cable ties, petrol and other materials and, then, randomly choosing Abu Khdeir as their victim. The day prior, according to Ma'an, the suspects had attempted to kidnap an 8-year-old child in another part of the city, but were fended off by the child's mother. According to Israeli media, the prime suspect, 29-year-old Yoseph Ben David, would basing his defense on a case of mental instability, as he had undergone psychiatric treatment in the past, in connection with another incident in which he attempted to strangle his own infant daughter. Ben David, when appearing for the arraignment, was reported to say at the entrance hall: "I am the messiah." The three youth who took part in the killing are now to be released. According to their lawyer, it could take more than year and a half for trial proceedings to end, adding that they were too young to stay in jail for that long. The family of Mohammad Nayef Ja'abeess, 21, who was shot and killed by the Israeli police in occupied Jerusalem, Monday, denied Israeli allegations that he deliberately rammed his industrial digger into a bus. His uncle, Abu Amjad, said Mohammad left home, as he does every day, driving his industrial digger, and that his route includes driving on the Samuel Hanevi Street, between West and East Jerusalem. Following the incident, dozens of Police and security officers invaded Jabal al-Mokabber, the hometown of the slain Palestinian, and clashed with dozens of local youths. Scores have been treated for the effects of tear gas inhalation, and the army kidnapped Mohammad’s father, Mousa Ja'abeess. A Palestinian man was shot dead by the Israeli Police in occupied Jerusalem in what the Israeli police claims an attack he carried out against an Israeli bus and a car with an industrial digger he was driving. Update: 15:17: The Palestinian digger driver who was shot by the police has been identified as Mohammad Nayef Ja'abeess. Update: 14:22 ~ Israeli Daily Haaretz has reported that a pedestrian who was injured in the incident died of his wounds. Five persons were lightly wounded. The accident took place in Sheikh Jarrah, in occupied Jerusalem. Israeli Ynet News said three Israelis were injured; one seriously and two suffered mild injuries. The bus that was struck by the digger overturned, and the Palestinian driver of the industrial digger was shot dead while behind the wheel. The Israeli Police and various Israeli media agencies are saying the accident was “a deliberate attack”. Israeli police shot and killed a Palestinian man who rammed an excavator into a bus in East Jerusalem Monday, knocking the bus on its side and running another man over, medics and police said. They said the man who was run over by the excavator was killed as well. "A 25-year-old man was run over by the excavator and killed, and the bus driver was moderately to lightly injured," emergency services spokesman Zaki Heller told AFP, saying another four people were lightly hurt in the incident which police described as a "terror attack." Police spokesman Micky Rosenfeld tweeted: "One person confirmed dead in terror attack in Jerusalem. Terrorist also shot and killed at scene. Forensics working at scene." Rosenfeld later tweeted that the driver was a Palestinian resident of East Jerusalem in his 20s. Video footage of the incident seems to show that police opened fire at the excavator before it knocked the bus over. "He hit a bus and turned it onto its side and as a result three people were lightly injured who were on the bus," Jerusalem police chief Yossi Pariente told reporters at the scene, adding that the bus was nearly empty when it was hit. "Two police happened to be in the area ... they got out of their car and fired at the (excavator) and as a result (the driver) was killed," he said. A Palestinian youth was killed and 15 others were injured Friday in clashes with Israeli forces near Ramallah, a Ma'an reporter said. 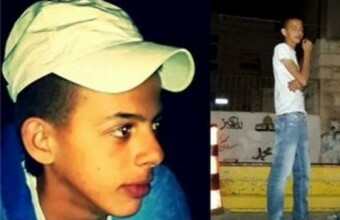 Odai Nafiz Jabr, 19, was killed in the village of Safa after being hit by two bullets in the chest and one in the hand. Jabr was the second Palestinian to be killed in clashes with Israeli forces in the West Bank on Friday. Five other Palestinians were injured by live bullets, one of them critically after being shot in the chest. 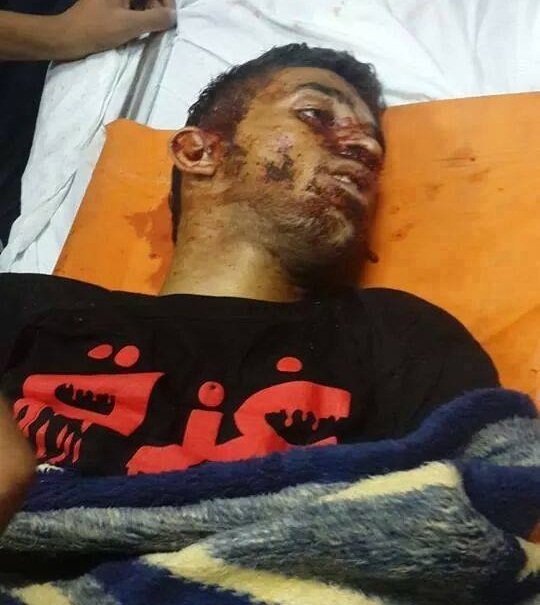 Another 10 Palestinian were injured by rubber-coated bullets. The injured were taken to Ramallah Governmental Hospital. Clashes broke out after a demonstration denouncing the ongoing Israeli assault on Gaza. Palestinians marched towards Israel's separation wall, where they were met by live bullets, rubber-coated bullets, and tear gas fired by Israeli forces. Youths hit a number of the Israeli soldiers with stones throughout the clashes. An Israeli army spokeswoman said she was looking into the incident. 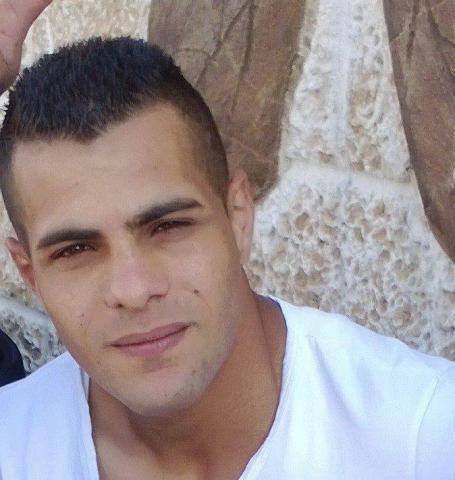 Earlier, a 22-year-old was killed after being shot in the chest by Israeli forces in Tulkarem. 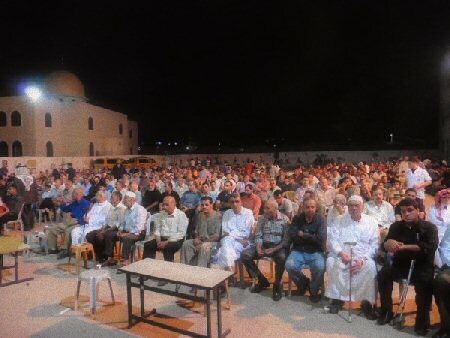 Hamas earlier in the day had called on Palestinians in the West Bank to participate in "Day of Anger" demonstrations in cities and villages across the West Bank in solidarity with Gaza. Israeli forces killed nine Palestinians in the West Bank in a 24-hour period last week as tens of thousands took the streets in solidarity with Gaza in the largest demonstrations since the Second Intifada. The killing on Friday brought the total deaths in West Bank protests over the last three weeks to 14, while nearly 1,500 have been killed in the Israeli assault in the West Bank. Israeli forces shot and killed a Palestinian on Friday during clashes with Israeli forces in the northern West Bank, witnesses said. 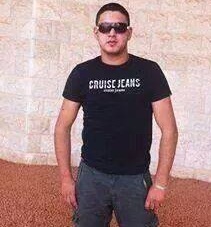 Tamer Faraj Sammur, 22, was shot in the chest by Israeli soldiers in western Tulkarem. The killing on Friday brought the total deaths in protests over the last three weeks to 13, while nearly 1,500 have been killed in the assault in the West Bank. Doctors at Al-Ahli Hospital in Hebron on Tuesday morning pronounced Ahmad Alaa Jihad Zoughair dead from wounds received in clashes with Israeli forces nine days before. The death brings to 12 the total number of Palestinians who have been killed by Israeli forces in the West Bank in protests in solidarity with Gaza since the Israeli assault that has killed more than 1,100 began three weeks ago. Jibreen al-Tameezi from the Palestinian Red Crescent told Ma'an that Zoughair was wounded during clashes with Israeli forces at the entrance to the town of Idhna west of Hebron. Zoughair was struck in the abdomen by an exploding bullet, al-Tameezi said. A funeral will be held at noon for Zoughair at al-Omari Mosque. On Friday, July 25, an Israeli settler murdered a Palestinian teenager in the village of Huwwara, which lies approximately 10 km south of Nablus in the northern half of the West Bank. Two hours later, an Israeli sniper killed another Palestinian teenager in the same village. After Friday prayers at the mosque in Huwwara, villagers began marching in solidarity with the victims of the Gaza massacre. The protest included many children, some of whom were carrying signs in support of their Gazan brothers and sisters. Two Israeli military jeeps were along the route, and some of the soldiers were taking pictures of the peaceful protest. As the procession wound its way back to the mosque, a settler suddenly raced alongside and slammed on the brakes. “He was about a meter away from the kids and just started firing out the window of his car,” stated a witness. “It was clear he was trying to kill people.” The settler managed to shoot four people before fleeing the scene. 19-year-old Khalid Owda died from a gunshot wound to his abdomen, while Tarik Dmadi was shot in the chest and remains in critical condition. Hassan Dmadi was shot in the hip, while Jihad Owda was shot in the hand and has been released from the hospital. Tragedy struck the town of Huwwara a second time two hours later, when an Israeli sniper gunned down 18-year-old Tayeb Shohaada, who, like Khalid Owda, was a student at an-Najah University in Nablus. 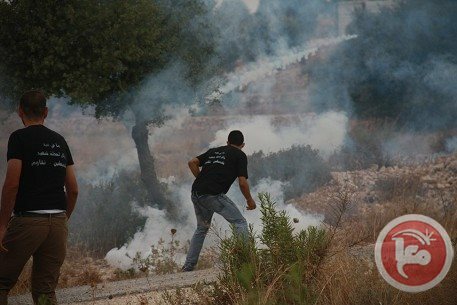 Israeli forces were shooting tear gas at Tayeb and roughly ten other young men, who were throwing stones in their direction from a distance of approximately 100 meters. According to Red Crescent medic, Ahmed Owda, a female Israeli sniper shot Tayeb in the face. Her sergeant then congratulated her and clapped her on the shoulder. Ahmed subsequently attempted to reach Tayeb but was unable to do so because of Israeli fire. 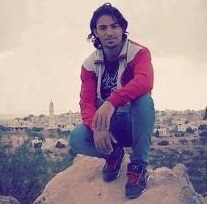 Tayeb was eventually taken to Rafidia hospital in Nablus, where he was declared clinically dead. The attending surgeon revealed that the damage to Tayeb’s brain was consistent with that caused by expanding bullets. Expanding bullets are banned according to the 1899 Hague Convention, but Israel has frequently been accused of employing them against Palestinians.